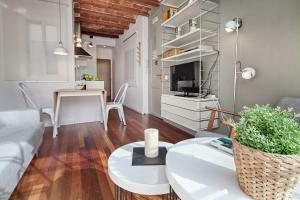 Set in Barcelona Gothic Quarter, Habitat Apartments Cathedral offers an air-conditioned apartment with a furnished terrace with city views. 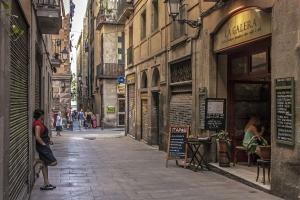 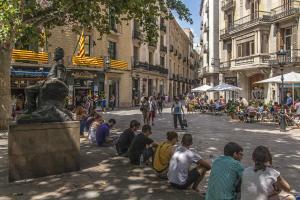 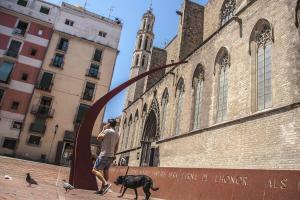 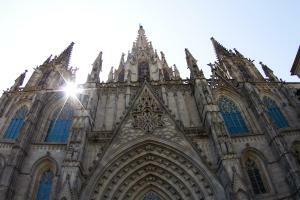 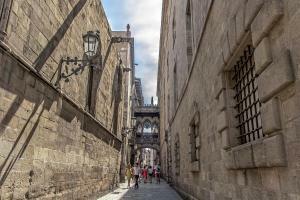 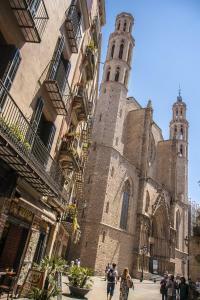 Both Plaza Sant Jaume and Barcelona Cathedral are 200 metres away. 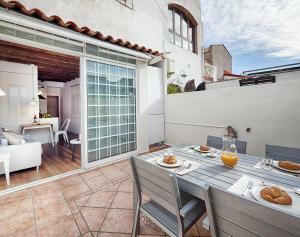 Modern and bright, the apartment features a living-dining room with direct access to the terrace, a pleasant setting area for al fresco dining. 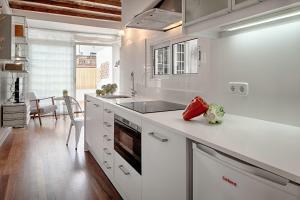 There is a flat-screen TV, a safe, and a kitchenette including an oven. 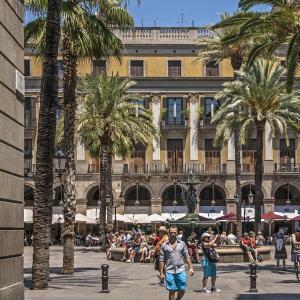 There are plenty of bars and restaurants in the surrounding narrow streets; and fresh produce can be found at Santa Caterina Market located 600 metres away. 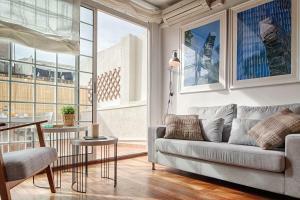 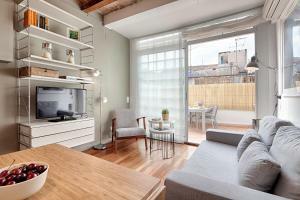 Centrally located, Habitat Apartments Cathedral is within 5 minutes’ walk of Plaza Catalunya and famous Ramblas. 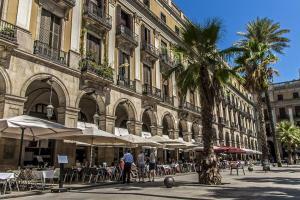 The closest metro stations are Jaume I and Liceu. 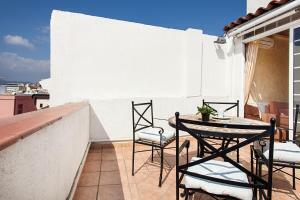 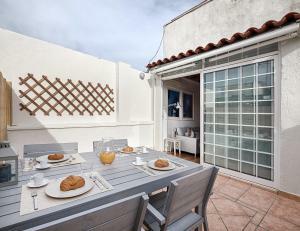 This bright apartment offers 1 bedroom with 2 single beds joined together, and a single room. 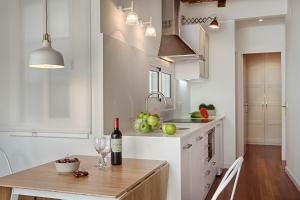 The kitchenette is equipped with an oven, ceramic hobs, and kitchenware; while the bathroom comes with a shower and hairdryer. 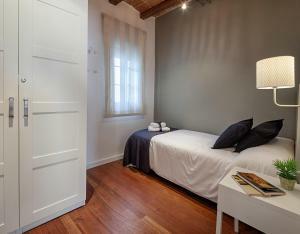 There is a washing machine, and bed linen and towels are provided. 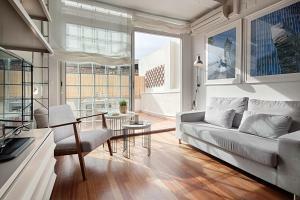 The living room opens onto a furnished terrace with city views. 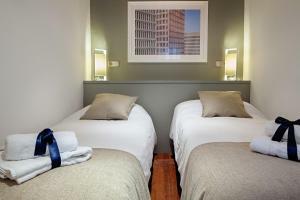 Rate: € 138.00 ... € 159.33; select dates below to get current rates.